For the wicked, a terrible day was approaching. Fire is associated with the day of judgment in both testaments. It points toward the holiness of God which consumes all impurity and represents the punishment of the unrighteous. The arrogant and the evildoer are headed for a blaze that will not be escaped and utterly consumes. As far as this world is concerned, the wicked will be totally removed. 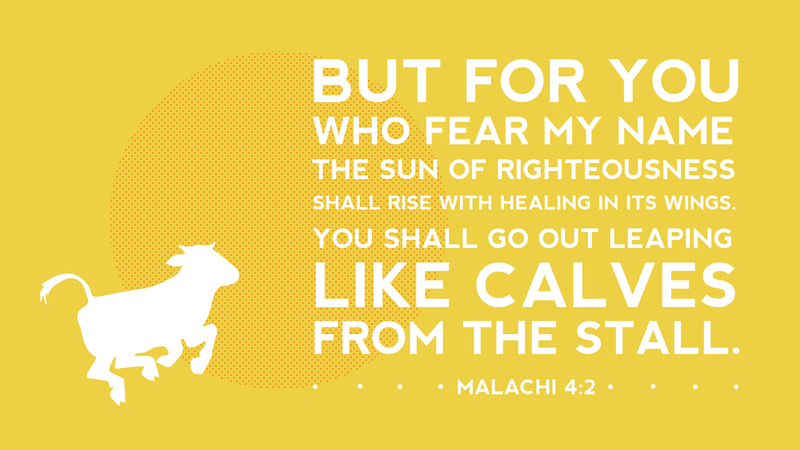 For the righteous, a day of healing and rejoicing was on its way. When that Sun rose, it would usher in a joyous new day for the faithful. This day would also be a day of freedom after oppression, joy after gloom, vitality after vicissitudes. In that day of liberty and light, those who fear God's name would “tread down the wicked.” The picture here is of the treading of grapes in a winepress (cf. Rev 14:19–20). The Lord exhorted his people as he had many times in the past to “remember the law of Moses, my servant.” These instructions are a fitting end to the entire Old Testament. The Mosaic Covenant was the covenant the people had been reminded over and over to remember and obey. Malachi closes with the assertion that God would send “Elijah the prophet” before the awesome day of the Lord. Elijah (John the Baptist) would “turn the hearts of fathers to their children and the hearts of children to their fathers.” The idea here is not the settlement of family disputes, but the conversion of the children so that they would be like their godly forefathers. To state the matter differently, John would call the Jews to repentance and reformation. It would be some four centuries after Malachi that the Elijah of prophecy would arise to warn of impending judgment and to point his listeners to Christ. Should coming judgment have any bearing on how we live? Why? How does the reality of God's judgment make you feel? How does the provision of Christ give you peace in light of the coming judgment? What should we remember as we look to Jesus' second advent? How does the Gospel save us from utter destruction? Pray a prayer of thanksgiving for your redeemer and savior.